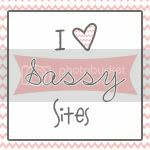 Sassy Sites! : Friday Night at Sassy Sites! Friday Night at Sassy Sites! 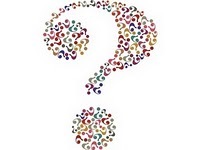 favorite to steal from your kids? yes, of course. and twix. Do not have kids-but of course I would and I love fruit tootise rolls. No- she knows darn well I'm taking "my cut" LOL :) It works out for us because the two things I take are sour stuff and molasses/halloween kisses which she hates anyways! My daughter is only 2 1/2 (almost) and so we haven't had many chances but I would totally steal anything chocolate - Twix and Milky Way being on the top of that list! We'll see how it goes this Monday when we go to a nice neighborhood and if she realizes she gets candy at each house or if she just wants to hang out with the family! Oh please, the hubs and I are eating the candy WHILE trick or treating with the kids!! Definitely steal their candy...sometimes with their permission, sometimes not...because they don't really need that much. They know my favorites are chocolate ones and will sometimes even volunteer them. I think Twix are my favorite too. I don't have kids so candy I buy is for my own eating devices. I love the peanut butter m&ms and mini-snickers.